Psalms for All Time equips parishes and schools with a core repertoire of prayerful, memorable, contemporary settings of the psalms for every Mass and liturgical celebration. The responses are instantly singable by the entire assembly, yet bear the weight of repeated singing. In each psalm setting, the response and verses form a single integrated song, drawing the assembly into the experience of the whole psalm. The sprung metre verses of the Grail text are set to attractive melodies using contemporary composition techniques for melodic, harmonic and rhythmic prosody and contrast. The psalms are suitable for singing unaccompanied, or accompanied by piano, guitar or organ. 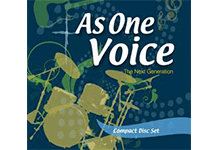 SATB choir parts are also provided, as well as some instrument parts. The music is easy to learn, with help on this website for learning verses and choir parts. The songbook contains guitar chord diagrams. Page layout is designed so that no page turns are required when using two songbooks side by side. Extensive liturgical and topical indices help in selecting the right psalm for the occasion. Historical and performance notes for each psalm help bring these ancient songs to life in today’s liturgy. The first recordings were undertaken in Wahroonga, and feature the WYSPERS, the youth band from Wahroonga parish, featuring cantor Alex Knight; vocalists, Alex Knight, Claire Edmunds, Paul Mason, Myfanwy Painter, Amanda O'Brien; keyboard, Paul Mason; Flute, Myfanwy Painter; Trumpet, Daniella Ciaglia; Clarinet, Kelly Edmunds; Saxophone, Ian Edmunds; Bass, Richard Alessi; Drums, Claire Edmunds. Recording Engineer, Pul Mason; Producer, Paul Mason. Four recordings are included on the Mass of Glory and Praise Audio CD. The more recent recordings were undertaken in Wollongong, and feature cantor Louise Symes, cellist Nada Jasz, pianist Cassandra Cordero, and SATB choir comprising Annette Griffin, Cassandra Cordero, Tomas Parrish and myself. You can purchase Psalms For All Time products here. You may use the following rehearsal and backing tracks to help learn and rehearse the psalms.